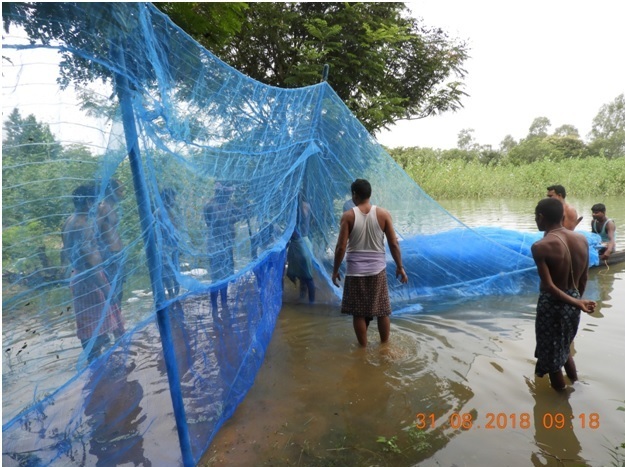 ICAR-CIFRI is working on the objective of fish production enhancement in Kalo reservoir, Mayurbhanj, Odisha under TSP, since last year. The availability of right sized stocking material (fish seed of more than 80 mm) and the cost of seed are major issue in reservoir stocking. 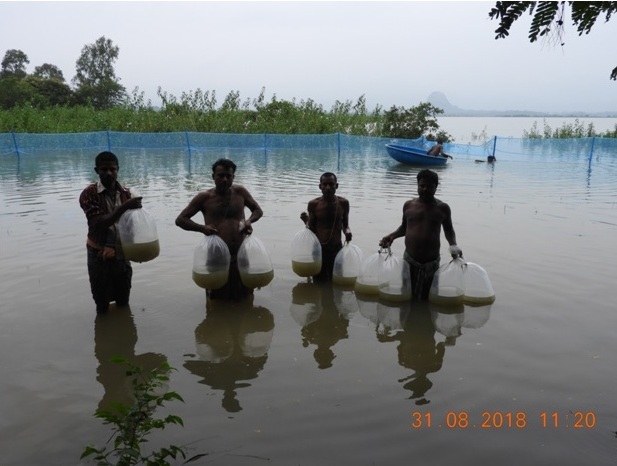 To address the issue, ICAR-CIFRI Pen (HDPE) was installed for in-situ raising of fish seed as a stocking material in the reservoir. The advanced fry will be raised in the pen till advanced fingerling size and then they will be stocked in the reservoir. 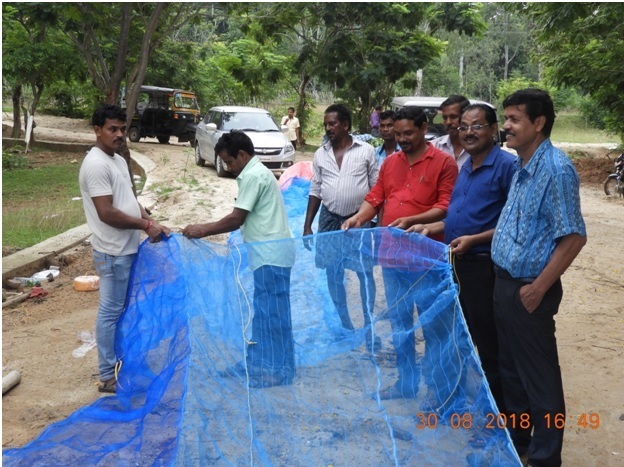 The installation of pen was demonstrated to the tribal fishers of Kalo reservoir on 31 st August 2018. 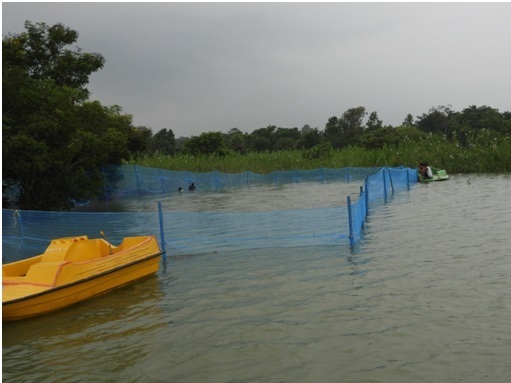 The fishers were participated in preparation and installation of pen in the reservoir. Fish seed (70,000 nos) of Indian Major Carps were stocked in the pen. The fish seed will be raised for 3-4 months, till they achieve a length of 80 mm. The fingerling produced in the pen will be stocked in Kalo reservoir.